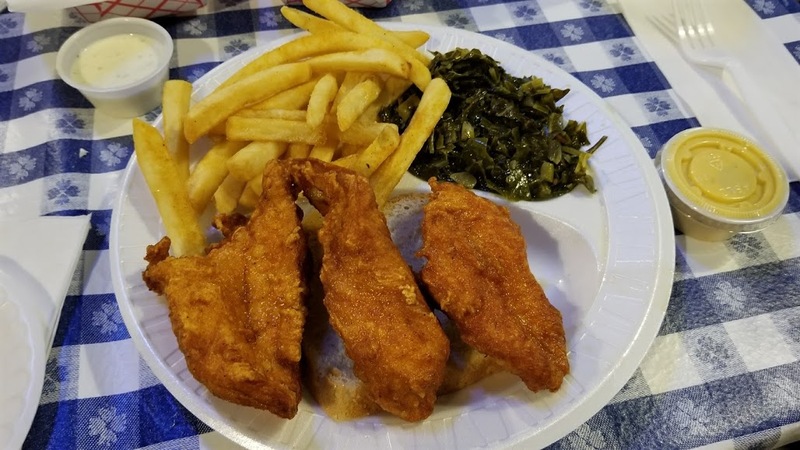 *Disclosure: I was treated to a meal at Gus's World Famous Fried Chicken in exchange for this blog post. The opinions expressed here, however, are my own. 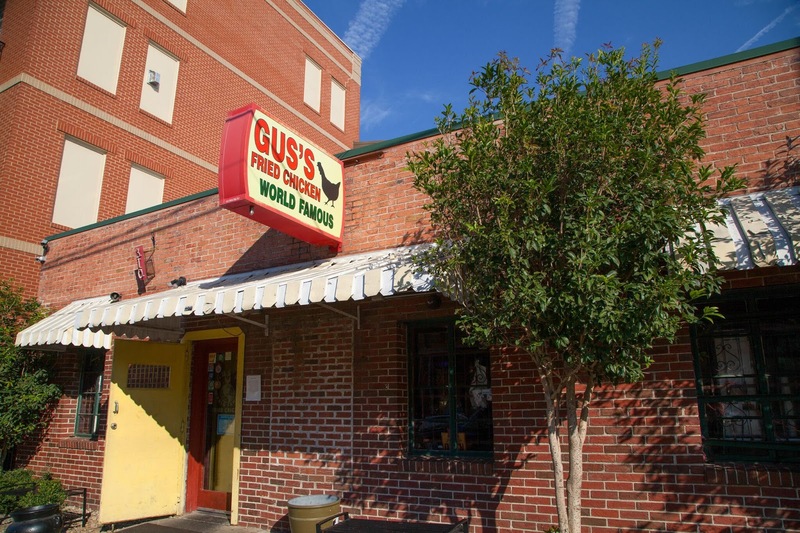 I had been wanting to try Gus's World Famous Fried Chicken ever since it opened—Yelp had been treating its Elites to a meal there, but I was unable to attend at that time. I was downtown this week for a performance of An American in Paris, at the Detroit Opera House, which afforded an ideal opportunity to try out Gus's beforehand. The restaurant isn't very large, and felt more like a neighborhood cafe to me, which I really liked. 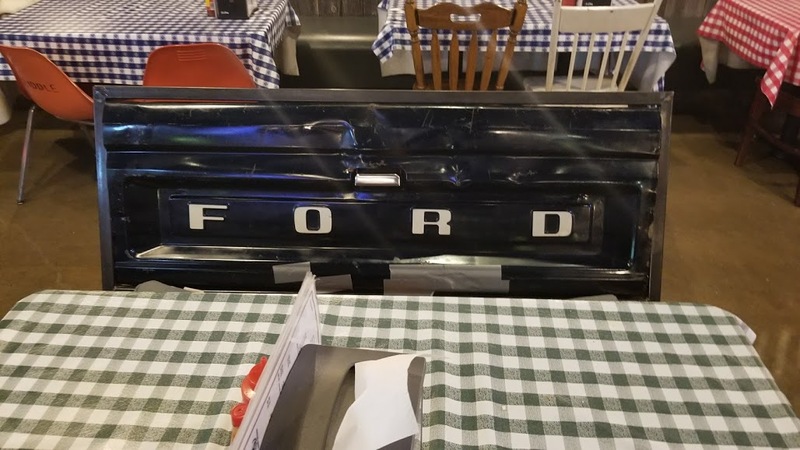 My friend and I were eager to try the fried chicken, which has great Yelp reviews, but to start off, we ordered the fried okra and the fried green tomatoes. L to R: menu, fried green tomatoes, fried okra. The okra + tomatoes come with ranch. 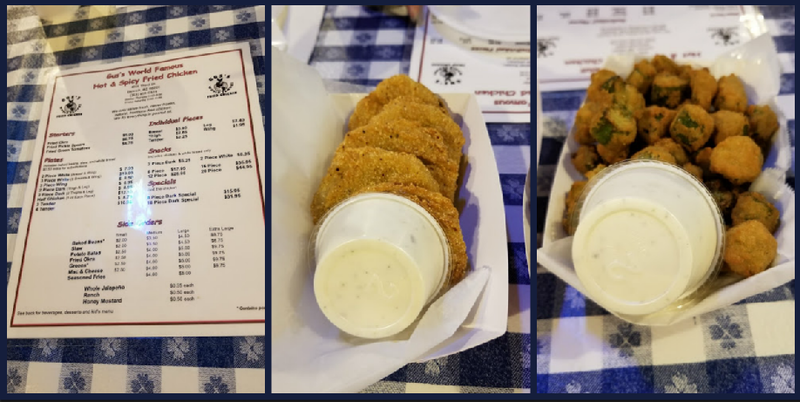 I'm not sure I've ever had fried green tomatoes before, but they were fantastic, especially with the ranch, and I'm not usually a ranch fan. The fried okra were good too, but okra is usually not my favorite. I had been told that Gus's chicken is a little spicy, but that the tenders have the least spice, so I ordered the chicken tenders meal for my main course. The combo plates come with baked beans, coleslaw, and white bread, but you can sub out any of those for an additional 50 cents; I chose collard greens and seasoned French fries, instead. My friend ordered the 3 piece white meat meal, which came with two breasts and a wing. I tried one of the breasts and I actually liked it even more than the tenders—it was crunchy and juicy, with just a hint of spice. I didn't find the tenders to have any spice. The tenders also came with a honey mustard dipping sauce, which was tasty. My friend also got mac 'n cheese as one of her sides, which she said was very good. Gus's also has a great dessert menu. I ordered the chocolate chess pie, which basically tasted like an eggy brownie (and was served piping hot, too!) 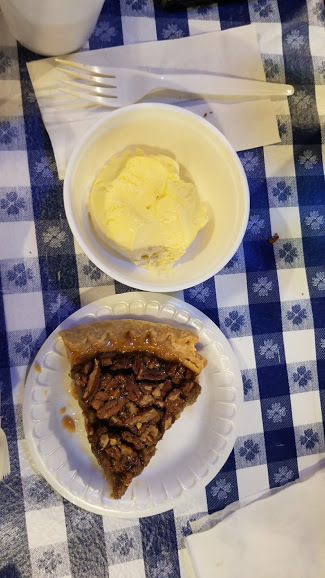 and my friend ordered the pecan pie, of which I tried a bite. Both pie slices were delicious, and they both came with a scoop of vanilla ice cream, too. 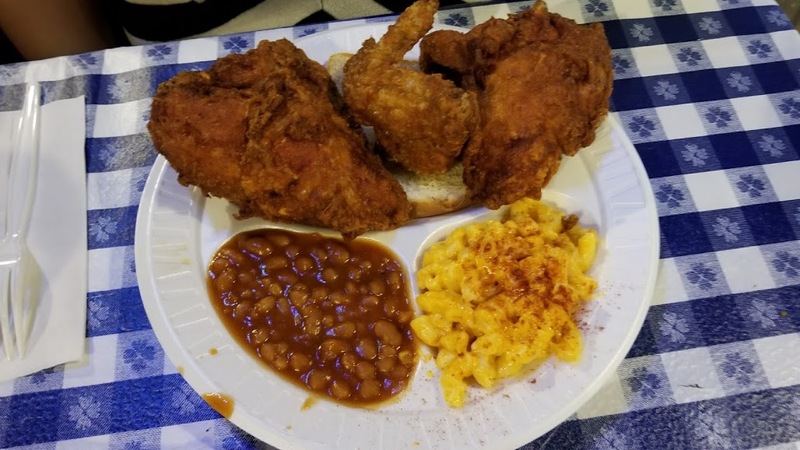 Gus's World Famous Fried Chicken can be found in 22 states, and in the metro Detroit area, you can find it in Westland (near IKEA), Detroit (Midtown area), and a soon-to-be-opened Royal Oak location, near Beaumont hospital. 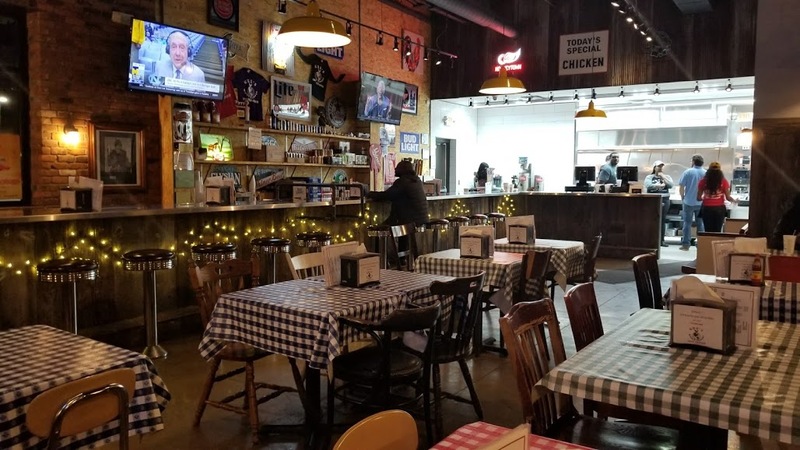 Gus's origin story is interesting, too—you can read about it here, but the gist is that the chicken, sandwiched between two slices of bread, used to be sold out the back door of a local tavern. Eventually, the recipe creators, aka Gus's parents, opened their own restaurant. When Vernon "Gus" Bonner's parents passed away, in 1982 and 1983, the recipe was handed down to him, and he renamed the restaurant to Gus's. Overall, both the food and the service at the Midtown Detroit Gus's location was great, and I hope to try out the Royal Oak location once it opens next month. 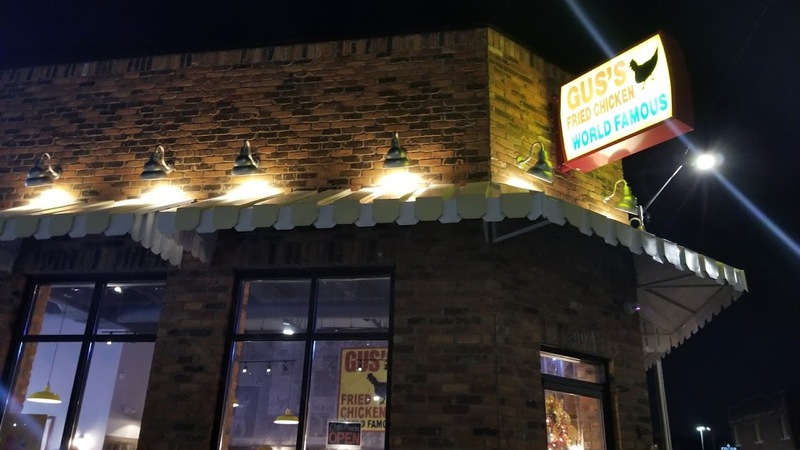 Gus's World Famous Fried Chicken is located at 4101 Third St., Detroit, MI, and can be reached at gusfriedchicken.com or at (313) 818-0324. Click here to check out the menu. 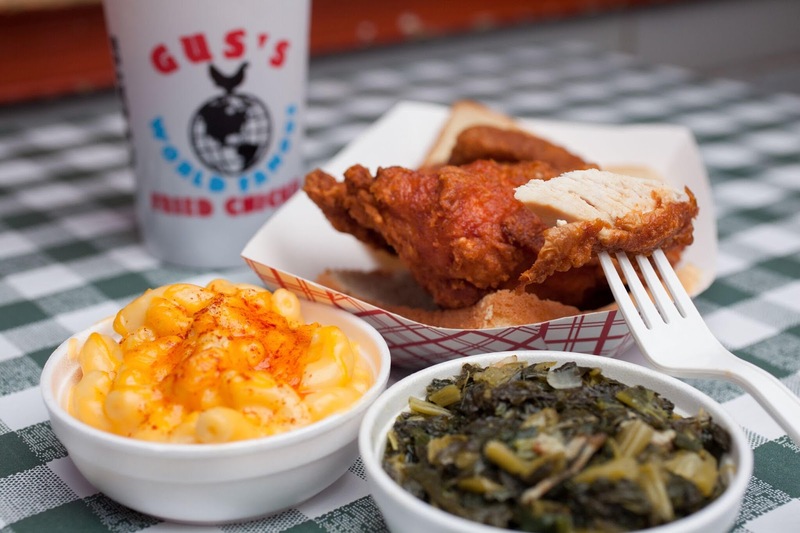 One of my lucky readers will win a $30 gift card to try out Gus's World Famous Fried Chicken! Gift card is valid at the Detroit or Westland location (or, you can also use it at Royal Oak once it opens). Enter via the widget below. Giveaway will end on Friday, December 8th, at 11:59pm EST, and winner will be notified the next day via email and have 24 hours to respond, or an alternate winner will be chosen. Must live in the Detroit area to enter this giveaway.